A Napier commercial fishing company, including its directors and general manager, have been fined a total of more than $1 million for 131 breaches of the Fisheries Act relating to the sustained under-reporting of bluenose. Hawkes Bay Seafoods (HBS) and two subsidiary companies in the HBS stable (Esplanade No 3 and Ocean Enterprises Limited), HBS directors Antonino (Nino) and Giancarlo (Joe) D’Esposito, and general manager Marcus D’Esposito were all charged in 2017 with offences under the Fisheries Act. All parties pleaded guilty in 2018 to under-reporting 27 tonnes of bluenose linked to export consignments to Australia between 2012 and 2014. They were recently sentenced in the Wellington District Court. As well as being fined a total of $1,086,673, the defendants were ordered to pay $418,500 in redemption fees for the return of four fishing vessels that the court ordered to be forfeited to the Crown after their offences. The Ministry for Primary Industries (MPI) manager of fisheries compliance Steve Ham says the result is significant. “This was sustained offending that happened over a number of years. The judgement shows very clearly that Marcus D’Esposito knew his actions were against the law. The offending was uncovered when MPI found that the weight of bluenose recorded in the company’s documents was different to the actual amount being sent to be sold in Australia. There were 15 separate occasions where exports of under-reported fish were identified for sale. “Efforts to ensure the sustainability of any fish stock are reliant on accurate and truthful information about the catch. This is critical to maintaining the integrity of the Quota Management System,” says Mr Ham. 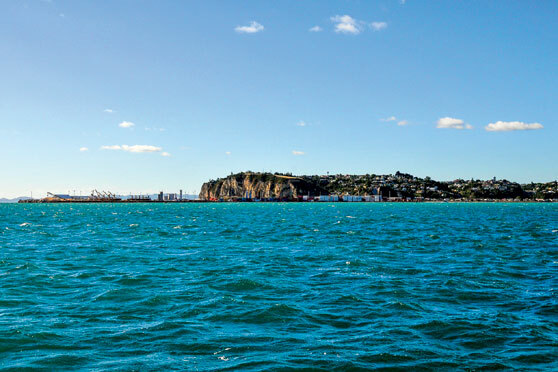 “Offending of this nature not only affects the sustainability of a fishery but has the potential to significantly impact New Zealand’s reputation internationally. It also affects the public perception of the commercial fishing industry. “In this case, the illegal activity was premeditated and showed a blatant disregard for the QMS [Quota Management System]. The people behind this offending were caught and have paid the price. We make no apologies for that. The trial lasted seven months and reportedly cost MPI $2.5 million, which is another example of the high cost of enforcing the current Quota Management System. Importantly, this is not the first time MPI has charged both Nino and Joe D’Esposito and companies associated with them for offences under the Fisheries Act. In 1991, Nino and Joe D’Esposito and the companies they were directing at this time (Harbour Inn Seafood Export Limited and Harbour City Seafoods Limited) were collectively fined close to $1 million for misreporting fish landings, and this included 574 tonnes of orange roughy. They were convicted of colluding with fishermen to falsify catch records and had their fishing boats seized. Then-record fines of almost $1 million were handed down. 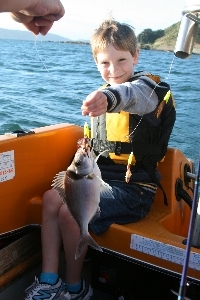 In 2009 they were again caught misrepresenting the fish they were landing. This is a pattern that has continued for decades. Last year, while the fraudulent reporting of bluenose case was still before the courts, another company in the Hawkes Bay Seafoods group, Esplanade No 3, was convicted and fined $37,500 for, as the judge explained, “deliberately” refusing to use specified bird protection methods (Tori lines) while long-lining off the east coast of the North Island. Esplanade No 3 operates at least 12 vessels fishing for associated company Hawke’s Bay Seafoods, including the Danielle, which was skippered by Napier seaman Stephen Harvey. Charges against the company also involved a second vessel, the Stella B. The company pleaded guilty to 37 charges and the skipper admitted 17 charges. Scott Macindoe, spokesman for LegaSea, the outreach arm of the NZ Sport Fishing Council, says the prosecution was worth the time and money spent because the industry must be held to account. “We are constantly told that the industry has nothing to hide, that reports of over-fishing, under-reporting, fish-dumping and bycatch issues are nothing to worry about, yet here we have one of the country’s more prominent industrial fishing businesses flouting the law and trying to profit from it. Other members of the commercial industry are even scrambling to disassociate themselves from these rogue commercial operators. Seafood New Zealand chief executive Tim Pankhurst has applauded the prosecution brought by the Ministry for Primary Industries and, at the sentencing, supplied an affidavit to the court condemning the behaviour. In the affidavit, Pankhurst said there was no place in the industry for those who flout the system. “We have a very clear code of conduct that says illegal behaviour will not be tolerated. “This is theft – both from the people of New Zealand and the quota holders. Shouldn’t such repeat offenders be forced to stop operating? Shouldn’t they have done some jail time by now? These are very reasonable questions for the New Zealand fishing community to ask.